Working on location is always a challenge: There is not enough time. There is not enough space. There is not enough light. And worse: there is no electricity. Avoiding the inconvenience of a gas generator, you will look for battery-powered gear. Which traditionally means serious compromise in power and features. But not any more. 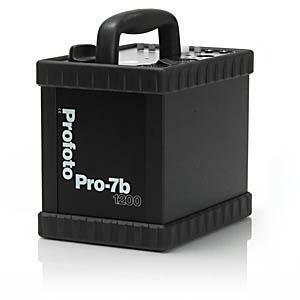 Leaving the studio with the Profoto Pro-7b, you are bringing 250 full power 1200 Ws flashes. 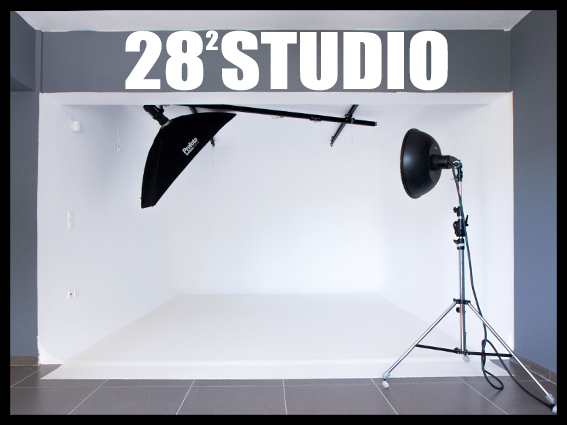 Along with two lamp outlets accepting the entire range of Profoto light shaping tools. And all of that in a box that recycles in just 2.8 seconds. Use it While Recharging it Back in the studio, using the snap-on universal power adapter, the Pro-7b can actually operate as a regular ?ash generator while the battery is being recharged. The adapter is fast, charging an empty battery in just 2.5 hours, and it accepts a wide range of input power: 12–24 V or 90–240 V. Included with every Pro-7b is a standard 110/230 V charger, loading the battery in 5 hours. Needless to say, the battery is replaceable. In other words, you just bring as much energy as needed. Also, because the Pro-7b battery is completely memory free, there is no penalty for partial charging. The output power can be adjusted over a full seven f-stop range, from 18.75 Ws up to 1200 Ws, in increments of 1/6 f-stop, for really precise control. The two outlets allow the power to be split symmetrically or asymmetrically with a 2:1 ratio. Of course the unit provides consistent output flash after flash, hour after hour. Designed for the rugged conditions on location, the Pro-7b features sturdy knobs, rubber-clad grips and frames, as well as the outlets and switches conveniently placed on top. Also, the generator is equipped with the Profoto special non-arching safety connectors, for easy connecting/disconnecting of the head at any time. Fully integrated with the Pro-7 system. Pro-7b accepts all Pro heads : the ProHead, the ProRing, and the ProTwin head. Designed for the Pro-7b, there is also the smaller Pro-B Head: light and portable, but still equipped with a strong 100 W modeling lamp. Worth a special mention is the ProTwin head. With two separate Pro-7b generators, it gives you 2400 Ws in a single head – or faster recycling.